The shadow stamps are definitely Hero Arts, as are the inks. 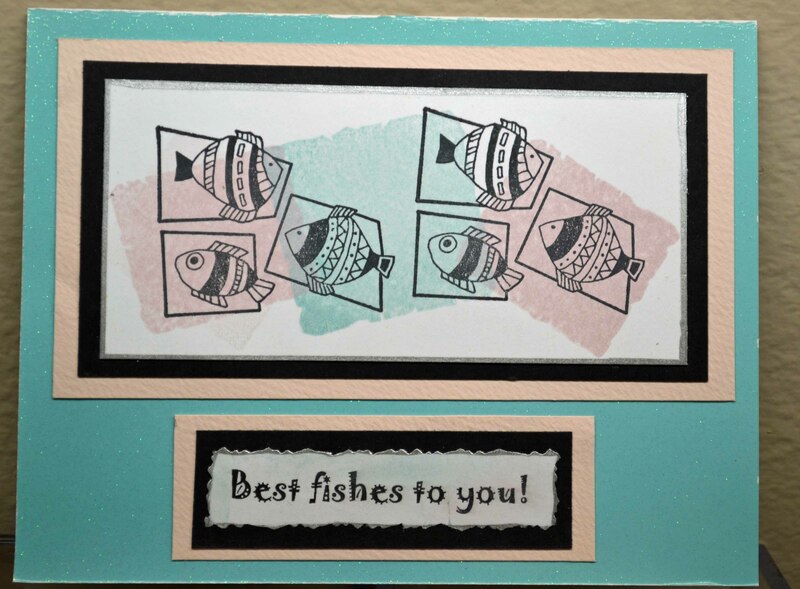 The fish is from Maryse Carrier, who once designed for Magenta. 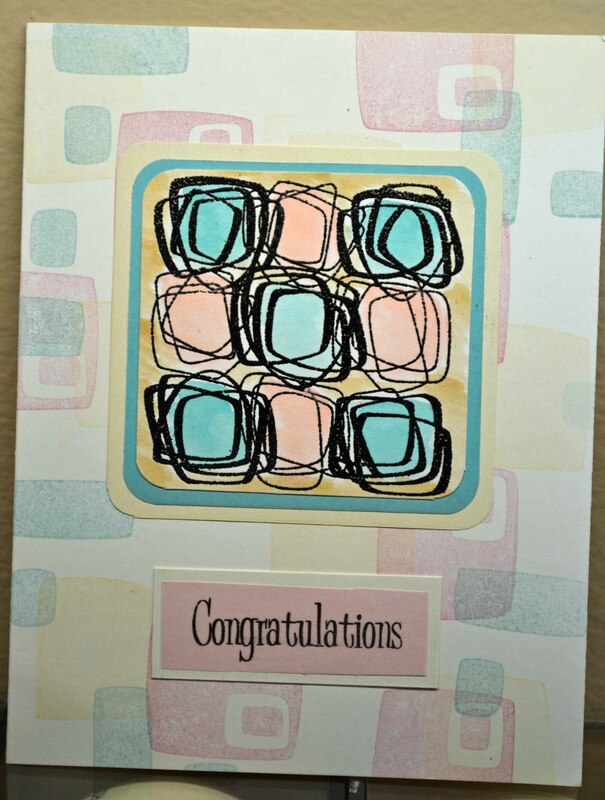 I was thrilled to find out that her designs are now being carried at Stampotique! Do check them out. I had forgotten how fun and whimsical her designs are, so I’ll be digging out more of those oldies from my collection. This one is all Judikins (except the sentiment, which I believe is Hero Arts.) The background is a fun retro block with four images on one block; the abstract was black embossed and colored with watercolors.